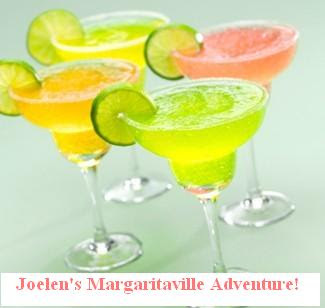 TGIF: Margaritaville & Mexican Eats! This month's TGIF happy hour I'm hosting is featuring the magnificent margarita! At this event we're closing out the summer with a happy hour dedicated to Margaritaville and Mexican eats. While I'm providing a margarita bar for my friends, they're bringing the Mexican fare! BLOGGERS: Share a margarita and/or Mexican inspired dish to share for this blogging adventure! 1) Make a dish using a Mexican/Mexican inspired recipe and create a blog post about it from now until the midnight, September 21st.